Leave the cold weather behind. Reebok's premium Thermowarm Deltapeak double layer fabric is filled with polyester yarns for lightweight warmth. 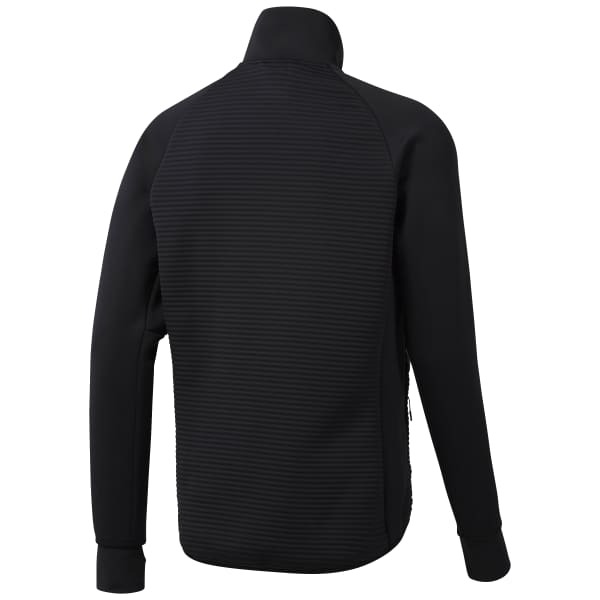 Lightweight PrimaLoft® padding in the chest adds insulation from the elements while the slim fit silhouette stays close to your body, perfect as a stylish layering piece to and from the gym or on a commute. The oversized thumb holes help keep the sleeves in place and zipped hand pockets give you a place to store your stuff and warm your hands.